Roma set to seal Jackson Martinez deal Serie A side Roma have entered the race to sign Porto striker Jackson Martinez, according to Portuguese reports. 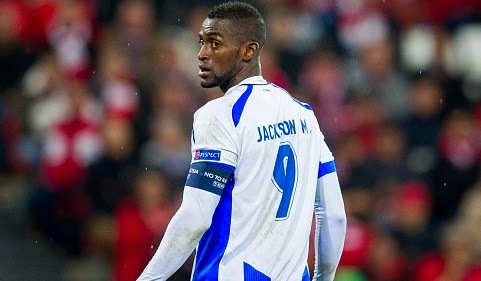 Serie A side Roma have entered the race to sign Porto striker Jackson Martinez, according to Portuguese reports. Portuguese newspaper A Bola reported that Roma are hoping to beat the Premier League sides Arsenal, Chelsea and Liverpool who are all interested in his services. The Colombian has impressed many top sides since his move to Porto. He has been playing sensational for the Portuguese side. Chelsea were reportedly targeting him last year but failed to seal the deal. Now they might not be interested as they signed Diego Costa in the summer. Arsenal and Liverpool both are eyeing a goal machine who can contribute 20-25 goals a season. Liverpool Daniel Sturridge is still out while Arsenal’s duo Olivier Giroud and Danny Welbeck are not capable of scoring such amount of goals. Reports have also revealed that Roma’s officials have contacted with his agent over his move and the fee demanded by the Portuguese giants is around €35million which could be problem for the Italian club. Martinez scored two goals for Colombia in the World Cup and did not get enough recognition due to James Rodriguez exceptional performances. The 28-year-old has been one of the consistent goal machine in Europe. He has 78 goals to his name in 113 appearances for Porto.